Sensory processing disorder is a complex neurological disorder affecting approximately 5–17% of the population, yet professional counselors often misunderstand and misdiagnose this disorder. A child’s academic, emotional and social functioning can be substantially impacted by sensory processing disorder; early diagnosis and treatment is crucial. In this article, the authors describe the disorder, discuss its impact on children and their families, and provide recommendations and resources for both mental health counselors and school counselors to utilize when serving this unique population with special needs. A case study is included, in addition to suggestions for treatment collaboration and advocacy on behalf of clients with sensory processing disorder. Children experience the world through their senses—the sound of the air conditioner running in their classroom, the feel of a chair under their legs, the sight of a colorful wall, the smell of food cooking, the muscle movement used to pick up a toy. The typical child can accurately perceive, process and respond to the myriad stimuli in their environment, focusing on important stimuli, such as a parent’s voice, and filtering out unimportant ones, such as a humming refrigerator. For other children, the same environment and accompanying stimuli can be uncomfortable, overwhelming, unnoticeable and even frightening. Researchers estimate that approximately 5–17% of the population has sensory processing disorder (SPD), a neurological disorder in which sensory input is irregularly sensed, processed, organized, and responded to, creating sensory challenges that negatively impact daily functioning (Ahn, Miller, Milberger, & McIntosh, 2004; Ben-Sasson, Carter, & Briggs-Gowan, 2009). As a result of poor sensory processing, individuals with SPD may overreact or underreact to stimuli (Byrne, 2009; Dunn, 1997, 2001; James, Miller, Schaaf, Nielsen, & Schoen, 2011; Katz, 2006; Miller, Anzalone, Lane, Cermak, & Osten 2007; Walbam, 2013; Withrow, 2007). SPD is a lifelong disorder; while typically developing children gain the ability to increasingly suppress stimuli with age, children with SPD tend to struggle throughout their lifetime (Davies & Gavin, 2007), particularly if SPD is unidentified, misdiagnosed or inaccurately treated. Professional counselors are called to accurately diagnose and treat clients’ mental health and co-occurring disorders (American Counseling Association [ACA], 2014). However, SPD is widely unrecognized and misdiagnosed in the counseling field (Collier & Falls, 2010; Katz, 2006; Murphy, 2011; Withrow, 2007). With increasing research supporting the legitimacy of the SPD diagnosis (e.g., Chang et al., 2014; Davies & Gavin, 2007; Owen et al., 2013), counselors can be on the forefront of screening and providing counseling services to children with SPD. This article will provide readers with background information on SPD, implications for clinical mental health and school counseling practice, a case study example, and recommendations for future professional education, advocacy and research. In the literature, SPD has been referred to by similar terms such as sensory integration disorder or categorized by subtype (e.g., sensory modulation disorder). However, the term sensory processing disorder (SPD) will be utilized in this article, since SPD is the most prevalent term used in recent years (Miller, Nielsen, Schoen, & Brett-Green, 2009). Similarly, we will use the term sensory processing to also encompass sensory integration, as they are often used interchangeably in the literature. The most commonly known senses are auditory (sound), olfactory (smell), tactile (touch), visual (sight) and gustatory (taste); two less known senses are proprioception and the vestibular sense (James et al., 2011; Katz, 2006; Withrow, 2007). Proprioception is a sense found in muscles, tendons and joints that deciphers bodily awareness and coordinated movements. The vestibular sense is located in the inner ear and provides sensory input regarding one’s balance and gravity. Sensory processing is a complex neurobiological process in which individuals’ seven senses perceive information or stimuli from the environment, sending data to the brain to interpret, process and respond to; the senses and brain are constantly engaged in a process of perceiving, interpreting, processing, and responding to environmental stimuli (Byrne, 2009; Katz, 2006; Miller et al., 2009; Parham & Mailloux, 2015; Walbam, 2013; Withrow, 2007). Sensory processing is a developmental process, and thus especially crucial in the children’s first 10 years of life (Ayres, 1979). In summary, a typically developing child may easily and accurately perceive and process environmental stimuli, yet this is not the case for all children. Sensory processing has been well studied in the occupational therapy profession during the last 50 years, beginning with the groundbreaking work of Dr. A. Jean Ayres, occupational therapist, psychologist and neuroscientist (Parham & Mailloux, 2015). During the last several decades Ayres and others discovered patterns of atypical sensory processing in children, which have collectively come to be labeled as SPD. “Sensory processing disorder is a heterogeneous condition that includes a variety of subtypes. Individuals with the disorder have impaired responses to, processing of, and/or organization of sensory information that effects [sic] participation in functional daily life routines and activities” (Miller et al., 2009, p. 1). Further, Parham and Mailloux (2015) described SPD as “patterns that emerge developmentally . . . and are thought to reflect subtle neural processing differences involving sensory and motor systems” (p. 266). Thus, children with SPD struggle with the neurobiological cycle of receiving, sending, processing and responding to stimuli, and they experience a severity that negatively impacts their daily functioning (Ayres, 1979; Davies & Gavin, 2007; Owen et al., 2013; Parham & Mailloux, 2015). As a result of skewed sensory processing, individuals with SPD may overreact or underreact to stimuli, perceiving stimuli to much greater or lesser degrees than peers (Byrne, 2009; Dunn, 1997, 2001; James et al., 2011; Katz, 2006; Miller et al., 2007; Walbam, 2013; Withrow, 2007). For example, a crowded indoor playground could be loud to one child, but frightening or even physically painful for a child with auditory sensitivities. While a typical child may get dizzy from spinning around, a child with an underdeveloped vestibular system may rarely become dizzy and seek spinning to feel soothed. Although children with SPD may have neurological similarities, SPD is a highly individualistic disorder that presents differently in each child and can be described by corresponding subtypes (Dunn, 1997, 2001; James et al., 2011; Murphy, 2011; Walbam, 2013; Withrow, 2007). While there is consensus on an overarching definition for SPD, there is not a consistent nosology for describing the subtypes (Miller et al., 2009). Proposed nosologies of SPD subtypes typically include hyposensitivity, hypersensitivity and sensory-seeking subtypes (Ayres, 1979; Dunn, 1997, 2001; Interdisciplinary Council on Developmental and Learning Disorders, 2012; James et al., 2011; Katz, 2006; Miller et al., 2007; Walbam, 2013; Zero to Three, National Center for Infants, Toddlers and Families, 2005). Those with hyposensitivities, one subtype of SPD, often have a high threshold for sensation, are under-sensitive, and receive or process too few stimuli (Dunn, 1997, 2001; James et al., 2011; Katz, 2006; Walbam, 2013; Withrow, 2007). A child with hyposensitivities may seem to have poor social skills and miss social cues; some behavioral examples include not hearing a teacher calling his or her name, being unaware of food on the face, or lacking culturally appropriate personal space. Social skill deficits can negatively impact children’s friendships and group participation in both academic and social environments (Dunn, 1997; Kranowitz, 2005; Withrow, 2007). Children with hypersensitivities, a second subtype of SPD, have a low threshold for sensation and may receive an overwhelming amount of stimuli, be unable to prioritize their sensory messages and be easily overstimulated (Dunn, 1997, 2001; James et al., 2011; Katz, 2006; Walbam, 2013; Withrow, 2007). As a coping technique against stimuli perceived as uncomfortable and even painful, children with hypersensitivies may have heightened alertness, act aggressively toward others in response to perceived threats, and engage in behavioral outbursts and rigid routines in attempts to avoid or escape stimuli (Dunn, 1997; Withrow, 2007). These children may be described as generally anxious, aggressive, distracted or unfocused, or as picky eaters. Lastly, some children with a third subtype of SPD crave and actively seek sensory input and increased stimuli (Dunn, 1997, 2001). These children may seek constant movement to receive sensations from their environment, and exhibit behaviors including running, jumping, chewing, tapping, humming and squeezing (Dunn, 1997, 2001). Individuals with sensory-seeking behaviors may appear impulsive, unpredictable, and have inappropriate personal space which may negatively impact academics and social relationships. Children who seek sensations may be described as rambunctious, aggressive, or bouncing off the walls (sometimes literally). They may seek spicy foods and not be bothered by intense flavors. Sensitivities and sensation seeking occur on a spectrum from mild to severe (James et al., 2011). Furthermore, these variations can present differently in each of the seven senses (Dunn, 1997, 2001), and children can even experience both hypersensitivities and hyposensitivities within the same sense (Withrow, 2007). This circumstance may baffle parents, who question how a child can watch a movie at a loud volume at home, yet be unable to tolerate the noise of a crowded restaurant. Children and the adults around them may need assistance recognizing children’s placement on the hyposensitivity, hypersensitivity and sensory-seeking spectrums before, during and after an event which can facilitate children successfully coping and thriving in various settings. Researchers have estimated that SPD occurs in approximately 5–17% of children (Ahn et al., 2004; Ben-Sasson et al., 2009). In one study examining the prevalence of SPD in children 4–6 years old, the parents of incoming kindergarten students in one U.S. school district (N = 1,796) were asked to complete the Short Sensory Profile, a parental-report screening tool used to determine parents’ perceptions of SPD correlates (Ahn et al., 2004). Approximately 14% of those who completed the survey (with a 39% return rate) met the criteria for SPD. However, researchers conservatively estimated that if all non-responders were free from meeting the SPD criteria, then approximately 5% of this population would meet the screening criteria for SPD. Thus, the number of incoming kindergarten students who met the criteria for SPD based on parental perceptions ranged from 5–14%. Similarly, Ben-Sasson et al. (2009) used a longitudinal birth cohort sample of children to study sensory over-responsivity (SOR) and related correlates. They found that nearly 17% of the 7–11 year olds in their study (N = 925) had clinically significant elevated SOR scores. However, these researchers believe the number to be a conservative estimate of the population, as children with diagnosed medical and developmental conditions were excluded from the study. All areas of a child’s life can be impacted by SPD (Walbam, 2013; Withrow, 2007). In addition to children presenting primary symptoms of the disorder, they often face a host of secondary emotional and behavioral difficulties as a result of the disorder, such as frustration, loneliness, low self-esteem, a greater risk for strained peer relationships, discouragement, and social, emotional and academic challenges (Champagne & Koomar, 2012; Katz, 2006; Miller, Nielsen, & Schoen, 2012; Walbam, 2013; Withrow, 2007). Also, those with SPD tend to be more likely to struggle with depression and anxiety than their typically developing peers (Miller et al., 2012) and may need assistance with self-regulation (Katz, 2006). These secondary symptoms may result from attempted self-regulation due to negatively perceived sensory stimuli as well as feelings of isolation and being misunderstood due to undiagnosed, untreated and mistaken symptoms (Miller et al., 2012; Withrow, 2007). In this article, we describe the experiences of children with SPD as comparable to those of children with special needs including disabilities and chronic illnesses. Early SPD diagnosis and treatment is crucial in assisting children with both primary and secondary SPD symptoms (Ben-Sasson et al., 2009; Byrne, 2009; Miller, 2006). SPD diagnosis and treatment early in life is highly impactful on a child’s developing brain and behavioral symptoms (Ben-Sasson, et al., 2009; Miller, 2006). While occupational therapists (OTs) are charged with diagnosing and treating the primary symptoms and underlying conditions associated with SPD, counselors need to be aware of SPD in order to appropriately screen for, avoid misdiagnosing, make appropriate referrals for, and treat the secondary symptoms related to SPD. Occupational therapy. Typically, OTs evaluate for and treat SPD (Castaneda, Olson, & Radley, 2013; Champagne & Koomar, 2012; Katz, 2006; Parham & Mailloux, 2015; Walbam, 2013). Children are often referred to OTs by parents, teachers and physicians (Parham & Mailloux, 2015); however, before making an OT referral, physicians need to rule out medical conditions and medication side effects. OTs assist people with daily living and occupational skills, and they are trained in mental and physical disorders (Castaneda et al., 2013). Since school is “work” for children, OTs help children with SPD to function more effectively in their academic work and social living skills. OTs can be school-based or work in community or hospital settings (Castaneda et al., 2013). OTs use several strategies to assess for SPD, including interviews and questionnaires, direct observations (e.g., naturalistic and structured clinical) and standardized testing (Parham & Mailloux, 2015). SPD diagnoses often begin with the use of a screening tool to determine the existence of symptoms signifying possible sensory irregularities. The Sensory Profile 2 (Dunn, 2014) is a standardized, parental-report tool for evaluating children’s sensory processing patterns in various environments and requires a B-level qualification to administer (Dunn, 2014). The Sensory Integration and Praxis Tests (SIPT) is a popular, recommended and standardized comprehensive test for measuring sensory integration and requires a C-level qualification to administer (Ayres, 1989). The SIPT was normed on approximately 2,000 children in North America and is considered a valid and reliable assessment. The sensory integration approach to occupational therapy is commonly used to treat SPD; the overarching goal of this intervention is to enable a child’s nervous system to more efficiently process and respond to sensory information (Parham & Mailloux, 2015). 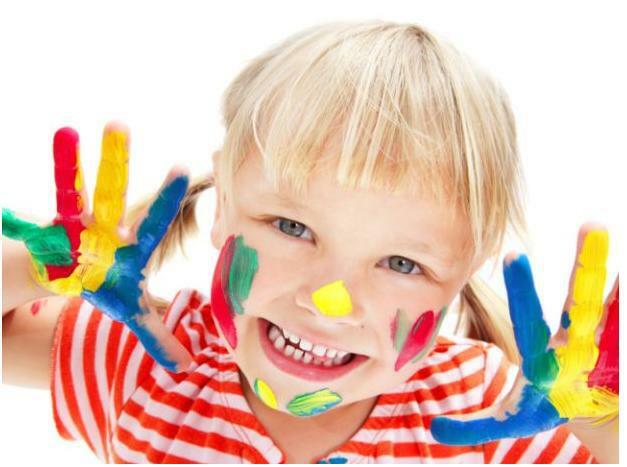 Occupational therapy is highly specialized based on the child’s unique needs and diagnosis. Further, occupational therapy also may include the use of a sensory diet—an individualized program for children with sensory challenges including a specific combination of sensory activities throughout the day (Parham & Mailloux, 2015). A sensory diet provides a wide range of sensory input; for example, activities may evoke the senses through music, new smells, visual stimulus, as well as “movement, heavy work, or tactile stimulation” (Hall & Case-Smith, 2007, p. 212). Clinical diagnosis. The occupational therapy profession has treated SPD for decades. Furthermore, the SPD Scientific Work Group, including approximately 40 interdisciplinary research scientists from various specialties (e.g., neurology, pediatrics, occupational therapy, psychiatry, autism, psychology) has regularly met since 2002 with the aim of studying SPD; members’ efforts have been funded through both the Wallace Research Foundation and National Institutes of Health (SPD Foundation, 2014). However, much controversy has existed regarding SPD as an independent disorder, particularly in the psychiatry and psychology professions, whose members have raised the following criticisms: “(1) an absence of formal diagnostic criteria, (2) high prevalence among children with developmental disorders such as autism spectrum disorders . . . (3) unknown etiology, and (4) lack of epidemiological evidence related to this condition” (Ben-Sasson et al., 2009, p. 706). These criticisms will be addressed in the subsequent paragraphs. Diagnostic criteria. Sensory disorders are found both in the Diagnostic Manual for Infancy and Early Childhood(Interdisciplinary Council on Developmental and Learning Disorders, 2012) and the Zero to Three’s Diagnostic Classification of Mental Health and Developmental Disorders of Infancy and Early Childhood-Revised (Zero to Three, 2005). For example, the Zero to Three was created by an interdisciplinary group of researchers and clinicians to complement the American Psychiatric Association’s (APA) Diagnostic and Statistical Manual of Mental Disorders (DSM) with a specific focus on the unique development of and disorders found among infants and young children. This nosology includes two sensory-related disorders: Hyposensitive/Underresponsive (420) and Sensory Stimulation-Seeking/Impulsive (430), describing the sensory reactivity patterns, motor patterns and behavioral patterns of each disorder (Zero to Three, 2005). The APA reviewed SPD for consideration in the DSM-5 (Levingston, 2014; Murphy, 2011) and groups such as the SPD Scientific Work Group lobbied for its inclusion (SPD, 2012, 2014). The full diagnosis of SPD was not included in DSM-5 reportedly due to lack of research (Levingston, 2014). However, the new Avoidant/Restrictive Food Intake Disorder does recognize that sensory aspects of food can cause a significant food disturbance (e.g., texture, smell, spiciness; APA, 2013). Further, in the DSM-5 the APA recognized sensory issues as a part of autism spectrum disorder (ASD), including: “hyper- or hyporeactivity to sensory input or unusual interest in sensory aspects of the environment” (APA, 2013, p. 50). While the DSM-5 does not recognize SPD as an individual disorder, we find it promising that SPD was considered for inclusion and that sensory issues were added to the most recent DSM. The DSM has evolved and will likely continue to evolve based on research advances (APA, 2013) and we are hopeful that SPD will be considered for inclusion in the next edition of the DSM, especially with recent research advances (e.g., Chang et al., 2014; Owen et al., 2013). In addition to the DSM, the 10th revision of the International Statistical Classification of Diseases (ICD-10; World Health Organization, 2013) and the ICD-9 (Centers for Disease Control and Prevention, National Center for Health Statistics, 1991) are other commonly used nosologies. Although the ICD does not specifically identify sensory issues, OTs may use the following codes to diagnose clients: lack of normal physiological development, unspecified (783.40; ICD-9); other symptoms involving nervous and musculoskeletal systems (781.99; ICD-9), and unspecified lack of expected normal physiological development in childhood (R62.50; ICD-10; E. Smolak, personal communication, January 15, 2015). Thus, professionals can use ICD codes related to SPD. Significant sensory abnormalities (e.g., SPD) can be comorbid with several childhood clinical disorders such as ASD, attention-deficit/hyperactivity disorder (ADHD), anxiety disorders, depression, Fragile X syndrome and obsessive-compulsive disorder (Ghanizadeh, 2011; Goldsmith, Van Hulle, Arneson, Schreiber, & Gernsbacher, 2006; Tomchek & Dunn, 2007; Van Hulle, Schmidt, & Goldsmith, 2011). At the same time, researchers are suggesting that SPD is a separate and distinct disorder. For example, when studying youth with ASD and SPD, Schoen et al. (2009) demonstrated differences in sympathetic nervous system functions and sensory-related behaviors between children in the two samples, while Chang et al. (2014) reported differing patterns of brain connectivity in adolescents with the two separate diagnoses. In addition, Miller et al. (2012) studied differences between youth with SPD, ADHD and the two dual diagnoses by using several parental-report instruments and measuring physiological reactions to sensory stimuli by electrodermal response. They found that participants with ADHD had greater inattention and participants with SPD had the most sensory issues, while those with both diagnoses experienced inattention and fewer sensory issues than those who only had SPD. Further, participants with SPD had greater physiological or electrodermal reactivity to sensory stimuli than participants with ADHD (Miller et al., 2012). Overall, differences seem to exist between participants with SPD and those with similar but varying clinical diagnoses (e.g., ADHD and ASD), suggesting SPD as an individual disorder. Etiology. While the etiology of SPD is still largely unknown, several researchers believe that SPD may have a genetic basis (e.g., Goldsmith et al., 2006; Miller et al., 2009; Owen et al., 2013; Van Hulle et al., 2011). For example, Goldsmith et al. (2006) studied the tactile and auditory defensiveness, temperament, and behavior problems of toddler-aged twins as determined by parent reports. Researchers determined moderate genetic influences with tactile defensiveness, leading them to suggest more research investigating the heritability of SPD and sensory issues. Based on the literature review, we believe that SPD meets the APA’s criteria for a mental health disorder, due to an irregular neurological pattern of receiving, sending, processing and responding to stimuli, which results in impairment to an individual’s regular behavioral and emotional functioning. SPD and sensory challenges are often unrecognized, misdiagnosed and considered solely behavioral, psychological or emotional issues (Parham & Mailloux, 2015). An accurate diagnosis is imperative for client treatment and is included as follows in the 2014 ACA Code of Ethics, section E.5.a. : “Counselors take special care to provide proper diagnosis of mental disorders” (ACA, 2014, p. 11). Counselors are ethically required to thoughtfully consider mental diagnostic possibilities and to accurately diagnose clients. However, medical and mental disorders can be commonly misdiagnosed, especially when many disorders have similar symptoms and overlapping criteria (Pollak, Levy, & Breitholtz, 1999). Misdiagnoses may have long-term ramifications for individuals, including ineffective treatment and secondary concerns due to unmet needs, such as anxiety, depression, low self-esteem, and poor academic and social functioning (Katz, 2006; Kinnealey & Fuiek, 1999; Miller, 2006, Miller et al., 2012; Withrow, 2007). Lack of an accurate diagnosis also can lead to poor use of resources and harmful or even fatal client outcomes (Pollak et al., 1999). In order to uphold the ACA’s ethical standards for accurately diagnosing clients, as well as to meet clients’ needs, it is imperative that counselors are aware of SPD and work in tandem with other service providers when warranted in order to ensure that each client receives an accurate diagnosis and treatment. Given the prevalence of SPD, counselors are likely already working with clients who have SPD. Thus, counselors across settings need to be aware of SPD and related counseling implications. Since early intervention is preferred, counselors who work with children should be at the forefront for recognizing and addressing SPD in session. This section will focus on the following: awareness and education, screening and diagnosis, treatment team, treatment goals, counseling strategies, and counseling accommodations. Awareness and education. First and foremost, counselors must possess knowledge of SPD as a neurological disorder and awareness of SPD characteristics in children. There is limited counseling-related SPD literature (e.g., Collier & Falls, 2010; Katz, 2006; Murphy, 2011; Withrow, 2007), and in our experiences as counselor educators and practitioners, we have seen very little SPD information in counseling textbooks or at counseling conferences. Thus, counselors may need to seek educational and training opportunities outside the counseling field in order to stay abreast of SPD. Screening and diagnosis. Counselors can screen for SPD through the process of differential diagnosis to see if the symptoms (a) are part of a separate mental health diagnosis, (b) indicate SPD misdiagnosed as another disorder or (c) are co-occurring (Byrne, 2009). Screening and diagnosis are complicated due to SPD often co-occurring with other mental health disorders (Walbam, 2013). Additionally, context is critically important when counselors identify diagnostic criteria, as well as triggers and antecedents to emotional and behavioral responses. For example, a child who presents characteristics of ADHD (e.g., impulsiveness and hyperactivity) also should be considered for SPD, as this child could lack physical stimulation and seek sensory input to self-modulate. Dr. Roianne Ahn, a licensed psychologist, SPD researcher and staff member at the Sensory Therapies and Research Center provides training to mental health clinicians regarding recognizing SPD in clients. When clinicians suspect that a child has sensory abnormalities, Dr. Ahn encourages them to use a parental-report screening checklist (e.g., Appendix A: Sensory Processing Disorder Checklist or the Sensory Profile 2) to initially screen for SPD symptoms and then recommend a formal occupational therapy evaluation (R. Ahn, personal communication, November 7, 2014). With the high prevalence of SPD, professional counselors may want to consider including a screening checklist in initial client paperwork. Treatment team. Counselors can consult and collaborate with stakeholders through the use of a treatment team (Katz, 2006; Murphy, 2011; Walbam, 2013). The purpose of the treatment team is to collaborate on the child’s needs and treatment across various settings, gaining the perspectives of diverse stakeholders. A treatment team can be comprised of the counselor (e.g., school counselor, mental health counselor), OT, parents or caregivers, and teachers. The treatment team may include the child’s pediatrician and potentially a nutritionist when appropriate. Counselors can play a vital role as part of a treatment team by coordinating the interdisciplinary team. Also, family involvement is crucial—parents or caretakers often know their child best, children are heavily impacted by their families, and parents or caretakers often advocate for their child on a long-term basis. Through the collaborative treatment team, counselors can identify and advocate for resources for children with SPD and their families in order to improve their daily functioning (Walbam, 2013; Withrow, 2007). Treatment teams can discuss children’s needs, accommodations and resources, ensuring that stakeholders are working collaboratively to serve the child. For example, one function of the treatment team may be consultation to discuss the child’s sensory diet in multiple settings, such as chewing gum to remain attentive in class or receiving calming deep pressure before school in the morning (Parham & Mailloux, 2015). Treatment goals. Counseling treatment goals can incorporate suggestions from the treatment team. For instance, counseling treatment goals may focus on children’s emotions, cognitions and behaviors pertaining to SPD (Kranowitz, 2005). Children with SPD may have a number of mental health concerns including anxiety, depression, low self-esteem, poor social skills and frustration (Champagne & Koomar, 2012; Katz, 2006; Miller et al., 2012; Walbam, 2013; Withrow, 2007). Similar to those with chronic illness (Cheu, 2013), children with SPD may have additional concerns including fear, grief, shame, anger or frustration. Furthermore, children may misunderstand SPD; thus, educating children and normalizing their experiences may be appropriate treatment goals (Withrow, 2007). Other treatment goals can include the child adjusting to the diagnosis of SPD and identifying strategies for coping in social situations when SPD symptoms often occur (Murphy, 2011). For example, although home environments may be easily controlled to meet the child’s sensory needs, children with SPD may need to cope with uncontrolled environments, such as a crowded grocery store or an odorous and loud public restroom. Thus, counseling treatment may include systematic desensitization—children increasingly coping with uncomfortable stimuli through increased exposure. Counseling can assist with behavioral, social and emotional symptoms related to SPD (Kranowitz, 2005), in addition to other disorders that may co-occur including anxiety, depression, ASD, attention-deficit disorder and learning disorders (Ostovar, 2009). Further, one disorder can exasperate another (i.e., the child may have difficulty adjusting to a new environment if there is a change in sensory input, such as street noise by the child’s bedroom window). Counseling strategies. Counselors can provide individual, group and family counseling modalities (Withrow, 2007) using solution-focused and cognitive-behavioral techniques to address children’s mental health needs and co-occurring disorders. For example, through individual counseling, children may increase their coping skills and self-esteem; through group counseling, children can improve their social skills. Further, counselors can assist clients to understand their disorder (Withrow, 2007), adjust to their limitations and capitalize on their strengths (Miller, 2006). Through the use of psychoeducation and bibliotherapy (see Appendix B), counselors can educate children about SPD, normalizing their experience. Further, by focusing on the child’s strengths, counselors can emphasize the positives of SPD. For example, children who seek sensory input from spinning may excel in gymnastics or ice skating, while those who need physical input may thrive in contact sports. Some mental health issues, such as children’s anxiety, can be exacerbated by contextual factors like an unpredictable environment that may occur in everyday life situations as well as at special events (Ostovar, 2009). Taking a systems approach, counselors can work with family members and other service providers (e.g., teachers) to increase the predictability and children’s understanding of their environment (Withrow, 2007). Thus, counselors can assist in identifying sensory triggers and establishing accommodations, while simultaneously addressing secondary emotional and behavioral symptoms that occur in various settings and situations. Counseling accommodations. In conjunction with the treatment team’s recommendations, counselors can make a number of small accommodations during their counseling sessions to support children with SPD as they engage in the counseling process (Withrow, 2007). First, counselors should be mindful of environmental stimuli in their offices, such as bright lights, highly decorated offices or intense smells, which may be distracting for a child with SPD. Counselors can keep smells to a minimum, for example, by not wearing perfume and asking office mates to refrain from using incense or scented candles. Next, varied seating options can increase children’s comfort, as their needs may vary from firm to soft cushions and from smooth to more textured upholstery. Similar to OTs (Kranowitz, 2005), counselors working with young children typically have numerous toys and materials to use in therapy (Landreth, Ray, & Bratton, 2009). Counselors may find that covering a shelf and only displaying a couple of items at once reduces children’s feelings of being overwhelmed. Likewise, many children may enjoy a variety of arts and crafts materials, yet some children with SPD may not be able to tolerate getting glue or paint on their hands. Using a paintbrush for glue application and using hand wipes or a nearby sink to clean their hands may allow children to fully engage in the activity. In consultation with an OT, alternative materials can be selected. Based on the client’s needs, therapeutic putty could be substituted for a regular modeling compound to provide more sensory input; a dry food box (e.g., uncooked rice, beans, pastas) could be substituted for a traditional sand tray to provide more tactile input through different textures; and markers with or without scents could be used as part of a child’s sensory diet. In consulting with the treatment team, the counselor may learn of the child’s need to implement other movement strategies as part of a sensory diet to increase his or her participation during counseling. These movements may include use of a rocking chair, proprioceptive exercises or a fidget. Balancing counseling interventions with attending to sensory inputs may help the child best focus during counseling sessions. Play-based strategies. Children, particularly young children, express their emotions, thoughts and experiences through the language of play (Trice-Black, Bailey, & Riechel, 2013). Children with SPD may have qualitatively different playing styles, which may affect their social development (Cosbey, Johnston, Dunn, & Bauman, 2012). Counselors can foster the achievement of social development therapeutic goals by examining the nature of children’s play and the activities that children find most fulfilling. Cosbey et al. (2012) reported that children with SPD tend to participate in more solitary play, less complex play and greater overall conflict in play when compared to peers’ play. Therefore, social development and play strategies may be a focus of counseling for children with SPD. Furthermore, Cosbey, Johnston, and Dunn (2010) recommended three potential goals in working with children with SPD: (a) identify activities that bring joy and meaning to the individual child, (b) strategize ways that the child can successfully engage in the activity, and (c) use these activities to build his or her social circles with peers. Similarly, counselors may use such activities to assist children with SPD in improving relationships and interactions with family members. Family counseling strategies. A substantial aspect of serving a child with SPD involves working with and supporting the people important in the child’s life, such as parents, siblings and other family members (Parham & Mailloux, 2015). When working from a family systems perspective, counselors should recognize the adjustment process for both parents and siblings. Just as children with SPD need to adjust to the diagnosis, so do their family members. The SPD diagnosis may bring a sense of relief to parents who have spent a long journey attempting to find an accurate diagnosis for their child (Parham & Mailloux, 2015). Some parents may feel grief and loss when their child is diagnosed with special needs, guilt for not obtaining the diagnosis sooner, and overwhelmed by navigating a new world of treatment expenses and accommodations (Anderson & Davis, 2011; Grossman & Okun, 2009; Marshak, Dandeneau, Prezant, & L’Amoreaux, 2010). Gourley, Wind, Henninger, and Chinitz (2013) found that parental stress was positively correlated with SPD severity, and that parents whose children had SPD had greater stress than those who had children without SPD. Thus, counselors can assist parents in processing their emotions, learning coping strategies, developing a plan of action and gaining a better understanding of SPD. Through psychoeducation (see suggestions in Appendix B), parents can learn about SPD and counselors can teach parents how to advocate for their children in various settings and situations (e.g., birthday parties, classroom activities, family gatherings; Ostovar, 2009; Withrow, 2007). Another of the counselor’s essential tasks may be providing support for parents (Cohn, May-Benson, & Teasdale, 2011), which can be accomplished through a local support group for parents of children with SPD or through family therapy. As the severity of SPD increases, so does the level of support needed by parents (Cohn et al., 2011). Cohn et al. (2011) found a significant correlation between an increase in a child’s SPD severity and a decrease in parents’ perceived parental competence. Informing parents about the benefits of proper treatment may not only increase the likelihood of children receiving the needed treatment, but also decrease parents’ stress and anxiety related to parenting a child with special needs. Finally, family counseling may include treatment goals that center on establishing balance for the family system, as many families may have spent a large amount of family time and resources seeking an accurate diagnosis for their child (Gladding, 2015). Siblings of children with special needs such as SPD may be negatively impacted in various ways, including greater likelihood of psychological or behavioral concerns, stressed relationships with parents, and missing parental attention (Anderson & Davis, 2011; Cohen, 1999). Engaging siblings in counseling can assist all the children in the family with adapting to the new family norms, routines and rules. For example, siblings can benefit from learning more about SPD (Parham & Mailloux, 2015) and processing their reactions to the SPD diagnosis, treatment and changes to the family system. Depending on the siblings’ ages and developmental levels, understanding SPD and the related issues may be difficult for them to comprehend. For example, siblings’ interactive play may change significantly once triggers are identified for the child with SPD. Siblings may need to process their emotions in their own space; thus, a referral to a sibling support group or individual counseling may be warranted. According to the American School Counselor Association (ASCA, 2013), school counselors are charged with serving all students, including students with disabilities and special needs. School counselors can serve students through increasing their own awareness of SPD, consulting and collaborating with stakeholders, advocating for necessary student services and accommodations, and providing students with individual and small group counseling (ASCA, 2013). Thus, school counselors can apply these strategies to their work with children who have SPD. Education, consultation and collaboration. To serve students with SPD, school counselors should educate themselves about the disorder and be vigilant about the signs and symptoms. School counselors can consult with other school professionals such as the OT and parents or caretakers if they suspect SPD. As teachers and family members may possess little knowledge of SPD, school counselors can educate, consult and collaborate with these stakeholders (ASCA, 2013) to increase their understanding of the disorder and to learn to best support the child with SPD. Accommodations. The 2008 amendments of Section 504 of the Rehabilitation Act of 1973 constitute a “federal law designed to protect the rights of individuals with disabilities in programs and activities that receive Federal financial assistance from the U.S. Department of Education” (U.S. Department of Education, 2013, Introduction, para. 2), including students in public schools. To be eligible under Section 504, students must have a confirmed physical or mental impairment that substantially impacts their functioning (U.S. Department of Education, 2013). If a student’s SPD significantly impedes his or her school participation and learning, that student may be eligible for Section 504, including relevant accommodations, supports and a documented plan. School counselors can advocate for students receiving services under Section 504, as well as assist students and parents in navigating the educational system as they seek services. To promote academic performance and social and emotional functioning in schools, 504 services vary based on the unique needs of each student. Accommodations should be individualized and based on information gathered from the student, family, teacher and diagnosing professionals. Once the student’s sensory triggers are identified, the school counselor can examine each aspect of the child’s day for potential triggers and modifications; small changes can make a significant difference. SPD accommodations in the classroom may include preferential seating, possibly with a larger personal space circumference (e.g., the student’s own table for classroom work and testing), sensory breaks in the classroom, “heavy work” (e.g., delivering books to the library), increased time for assignments and tests, and a quiet location for testing. Some students with poor muscle coordination may require accommodations for underdeveloped fine motor skills, such as using a mechanical pencil for short assignments, a computer for longer writing assignments and pencil grips. In coordination with an OT, other accommodations may include a weighted vest or lap pillow, a balance ball chair instead of a traditional seat, and fidgets or stress balls to help increase attending behavior, reduce stress and increase hand muscle strength. If available and as needed, students can meet with a school-based OT to further address SPD symptoms in the classroom. In addition to focusing on student accommodations for accessing the core curriculum, students with SPD may struggle with the elective or “specials” classes, unplanned situations, transitions and unstructured time outside of the classroom. While many children love playing tag during recess or physical education (P.E. ), a student who is sensory defensive may dread this and similar activities. Thus, a P.E. accommodation may be engaging in a different noncontact sport. Alternatively, children who need sensory input may have accommodations to complete additional jumping jacks or wall pushes beyond P.E. class. In addition, a child with gross motor skill challenges could receive accommodations to strengthen and develop those areas without being penalized for failure to meet grade-level expectations. With any sport, an OT can assess a child’s physical strengths and challenges, working with P.E. teachers, coaches and parents to select appropriate individual or group activities based on the SPD presentation in each child (Kirkpatrick, 2012). As previously mentioned regarding play-based techniques, some creative arts activities may be troublesome for children with SPD. Accommodations in art class should ensure that students with SPD participate to the best of their ability, and receive modified assignments and grading protocols (e.g., extra time to complete assignments). Likewise, students in music class may need to utilize their noise reduction headphones. Finally, school counselors should be mindful of students’ schedules, advocating for “specials” classes to be spaced out and at the end of the day when possible, as children with SPD who have multiple triggers are apt to have challenges concentrating once back in their regular classroom. Children with SPD may be fearful of unexpected situations due to concern that a sensory trigger will occur. Providing students with advance warning can assist them during these situations. For instance, students can receive advance notice for fire drills and prearranged substitute teachers. The school counselor can check on the students during such triggering events to determine their reactions and ensure that accommodations are implemented. The school counselor can coach children to advocate for themselves in these situations, for example, by asking a substitute teacher to reduce the classroom noise level, or wearing noise-canceling headphones during fire drills. Students with SPD may benefit from accommodations assisting them with daily school transitions. For example, a visual reminder (e.g., written schedule) may help reduce students’ anxiety surrounding transitions. To preserve personal space when transitioning between classes, younger students can receive preferential order in line, while older students can receive permission to walk in the hallways immediately before or after their peers. Children with SPD may find unstructured school time to be difficult due to the magnitude of overwhelming sensory input. School counselors can assist students with SPD by collaborating with them and other stakeholders to create modifications for unstructured school times (e.g., recess, lunch, school assemblies, class parties, bathroom breaks, transportation to and from school). Accommodations may include preferential seating, noise-canceling headphones and decreased time in such situations. Further, students should be provided a safe place to decompress when overstimulated. When annually reviewing 504 plans and adjusting accommodations, school counselors need to be aware that students’ triggers and challenges may change at different developmental and chronological ages. For example, high school students with SPD may require unique accommodations in various situations such as the following: during driver’s education (e.g., not driving with other students in the car), while dissecting frogs in biology or when using odorous chemicals in chemistry. Biological changes in adolescence produce new and potentially triggering smells, such as the P.E. locker room at the secondary level. Thus, school counselors may need to (a) advocate for accommodations to counter these scenarios that may emerge in middle and high school, and (b) further address the emotions related to dealing with SPD symptoms in the classroom and in social situations with classmates that may occur with the onset of adolescence. Counseling. In addition to assisting with accommodations, school counselors can conduct individual and small group counseling for students with SPD in order to help them succeed in school (Collier & Falls, 2010). School counselors can provide counseling to address students’ emotional and mental health concerns, which may include anxiety, depression, low self-esteem, poor social skills and frustration (Champagne & Koomar, 2012; Katz, 2006; Miller et al., 2012; Walbam, 2013; Withrow, 2007). School counseling may address students’ anxiety about school transitions and school-related sensory reactions by teaching students coping skills. School counselor-led counseling can normalize the experience of children with SPD, combating potential feelings of self-consciousness and isolation. Through the use of bibliotherapy and psychoeducation (see Appendix B), students can learn improved self-regulation and organization skills as well as self-advocacy and assertiveness. For example, students can learn to advocate for themselves by participating in their 504 plan meeting, as well as learn to develop strategies for communicating with teachers when becoming overwhelmed by sensory stimuli. When students with SPD receive accommodations and counseling, classmates may express jealousy or frustration, similar to siblings. The school counselor can help process these situations and role-play social interactions in individual or group settings. Further, school counselors can assist teachers in offering sensory modulation strategies for an entire class, in order to prevent the child with SPD from being singled out. The following is a case study of how a counselor can intervene with a child who has SPD. Euna is a 6-year-old, second-generation Korean American attending her first year of school as a first-grade student in public school. Her parents are professionals, and she is an only child who had an in-home nanny and no formal preschool. At school, she shows little variation in affect and rarely speaks to peers. However, she and her parents speak at home, often in quiet voices. Euna flinches when touched and her parents describe her as a picky eater and uncoordinated. She does not like school; at home she has daily outbursts prior to departing for the school bus. Euna does not have reciprocal friendships in school and often sits alone in the cafeteria during lunch. Often she requests to visit the nurse to avoid the cafeteria during lunch. Euna visits a mental health counselor for anxiety; this counselor has basic awareness of SPD. After the intake and initial counseling session with Euna, the mental health counselor suspects SPD and gathers additional background information from Euna’s parents as well as a release of information to speak to Euna’s teacher and school counselor. Next, the mental health counselor gathers background information from Euna’s school counselor and teacher about her school functioning. After completing screening checklists (e.g., Appendix A: Sensory Processing Disorder Checklist or the Sensory Profile 2), the mental health counselor and school counselor provide Euna’s parents with an OT referral for formal evaluation and recommend that her parents first speak to the pediatrician; the counselors obtain a release of information to be able to speak with the OT and pediatrician. The OT determines that Euna does have SPD, and through the physical examination, Euna’s pediatrician rules out other potential physiological causes for symptoms. The pediatrician also provides a referral to a nutritionist who can ensure that Euna is obtaining proper nutrition and gradually increase the types and textures of food in Euna’s diet. After consulting with the OT and pediatrician, the school and mental health counselors work together to provide bibliotherapy resources for the family, education for the teacher and school staff, and coping strategies for Euna in school, at home and in the community. They collaborate with the OT to incorporate sensory strategies that will enhance counseling sessions with Euna. Lastly, the school counselor invites the OT and mental health counselor to participate in the development of the 504 plan to provide accommodations for Euna to be successful in school. During the last several years, authors have presented variations of the Euna case study to audiences in counseling classes and conferences, asking for participants’ thoughts on a preliminary diagnosis for further exploration. Common participant responses include trauma, anxiety and school phobia; this is not surprising, as SPD can be easily misdiagnosed as other disorders. SPD is a neurological disorder that impacts the daily functioning of children across settings. Thus, to advocate on behalf of children with SPD in mental health and school settings, counselors need to increase their SPD-related education, advocacy, screening, treatment, stakeholder collaboration and research. First, counselors should become increasingly knowledgeable about and advocate for an increased awareness of SPD within the counseling profession. We recommend that counselors advocate for the inclusion of SPD in diagnostic standards, such as the future edition of the DSM, and in counselor education, professional development and counseling literature. By increasing the counseling profession’s knowledge of SPD, counselors can provide children with more appropriate and earlier treatment interventions. Next, counselors need to effectively screen for SPD and collaborate with parents and other professionals to treat the primary and secondary needs of children with this disorder. Also, counselors can educate stakeholders on SPD, including teachers and parents. By further demystifying and clarifying SPD for professionals and family members, these stakeholders can best support children with SPD, improving their quality of life and achieving treatment goals. Conducting and publishing counseling-related SPD research can add professional credibility and recognition of SPD. In the future, researchers should investigate the following: (a) counselors’ awareness of SPD; (b) mental health, school, and family counseling interventions used for children with SPD; (c) consultation practices with other service providers to serve children with SPD; and (d) perceptions and outcomes of clients with SPD receiving counseling services in an effort to develop future evidence-based best practices. Also, researchers can explore the psychometric properties of instruments used to screen for SPD, perceptions regarding these instruments, and effectiveness of counselors using these instruments. Finally, counselors can conduct interdisciplinary research with OTs, as future SPD research areas outlined by the American Occupational Therapy Association (2014) are related to counseling treatment goals pertaining to SPD (e.g., social communication, anger management, academic performance, behavior issues). When counselors and researchers engage in self-education and professional education, more accurate screening, evidence-based counseling treatment strategies, stakeholder education and collaboration, and research, they advocate for children with SPD across settings and have the potential to dramatically improve the lives of many children.